Comments: Declared national champion in 2012. 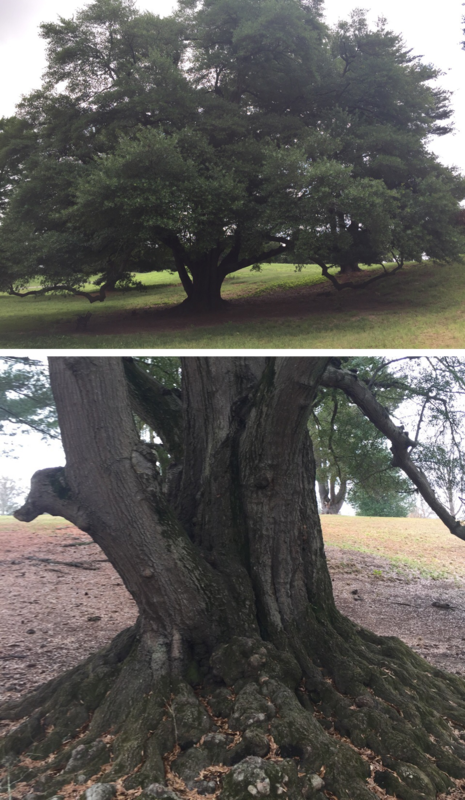 This tree was misidentified as Q. laurifolia until 2011, when acorn samples were sent to National Arboretum. 2018: The tree appears very healthy and has put on some girth plus height. It appears to have no rot at all. While taking circumference a large branch was not included because it was not part of the main trunk. Trunk circumference measured at 2.5 ft. Directions: Tree located at the owners mailing address. This tree is on unrestricted public property. As you come down the path from the nature center go straight and then take a right.The tree is near the intersection of 4 paths.